Douglas Trudeau of Tierra Antigua Realty in Tucson, Ariz., today became the first real estate agent who can legally use a drone for real estate photography. 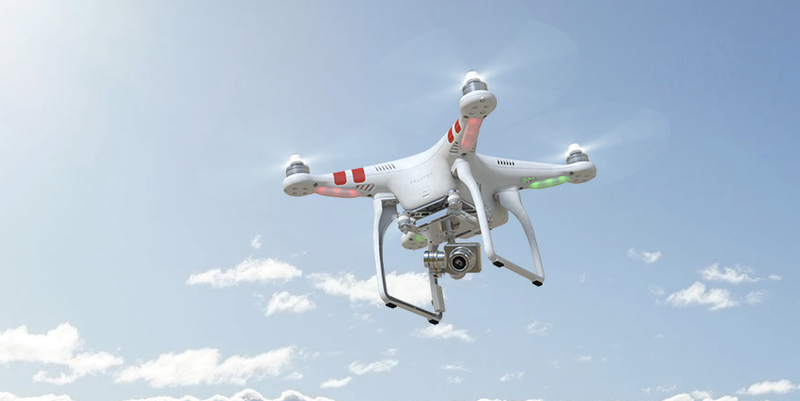 If you have recently looked at the listings in your local MLS (or on Zillow and Redfin), you have likely seen plenty of images that could have only come from a drone. Under the FAA’s strict definition, however, those weren’t taken legally, as the agency still prohibits almost all commercial use of drones. Trudeau, the FAA today announced, is authorized “to fly a Phantom 2 Vision+ quadcopter to enhance academic community awareness and augment real estate listing videos.” The Vision+ is currently the top-of-the-line model in DJI’s lineup of consumer drones (the $3,400 Inspire 1 doesn’t qualify as a consumer model in my eyes). In addition, the FAA also granted another exception to Advanced Aviation Solutions in Spokane, Wash., which will use a fixed-wing eBee AG drone from senseFly for monitoring crops. Tierra Antigua and Advanced Aviation Solutions can’t just take their drones for a spin, however. In addition to the pilot, there also has to be an observer around. The pilot also needs to have “an FAA Private Pilot certificate and a current medical certificate, and the UAS must remain within line of sight at all times.” Obviously, you can’t safely operate a Vision+ if you can’t answer these questions from the FAA’s pilot exam. Today’s new exemptions bring the total number of companies allowed to commercially operate drones in the U.S. to 13 (there are a total of 14 exceptions for 13 companies now). That’s not a lot by any stretch of the imagination and the FAA actually got some pushback when it gave exemptions to a number of film companies earlier this year. The FAA says it has now received a total of 214 requests for exemptions.